Agree to waiver by checking here. By agreeing to this waiver you submit to the terms and conditions as set forth by this event and certify that you have provided true and accurate information as requested through this registration process. That's the waiver I had to agree to when signing up for the 2009 McNaughton Park Trail Runs 50 Miler. It's official, I've signed up for my first 50 miler!! Come April 11, 2009, I will make a go of it. I can't wait! My right shin and knee have a twitching phantom pain in anticipation of it. Oy vey! I now have four months to get my rear in gear. I can do it, now that I have an end-goal...and it's paid for. That seals the deal, when it's paid for. I will crawl that course if I have to, but dangit, I'm going to finish it! 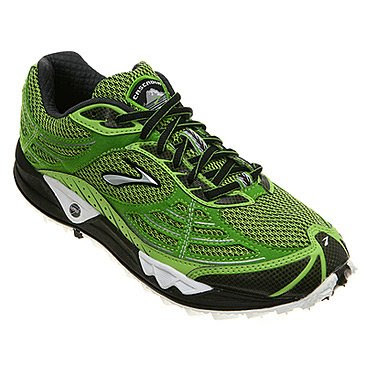 ION: I got my new trail runners in the mail this week...the neon green Brooks Cascadias 3. They rock my socks off! It feels like I'm wearing a cushy sock, they are so light and comfortable. I ran six last night with Beer Runners to sort of break them in. I could run faster and jump higher in them! No, but seriously, they are fantastic. They felt great even on the pavement, so I can't wait to take them for a run on some single-track this weekend. They are nestled safely in my suitcase, anxiously awaiting the Black Forest Trail in PA. Happy feet!! Andy, the RD at McNaughton, runs a fantastic event down there in Pekin. I've done the 50 both of the last two years, and I'm weighing the pros and cons of moving up to the 100 this time around. The course can be rough, especially in the wet Illinois spring time, but NO STEPS to climb! 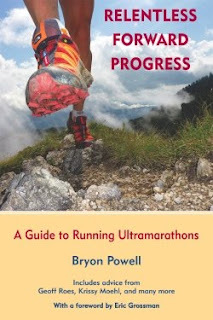 I'm sure your good friend, Mike, will be able to give you some good advice as you build up your mileage, but if you want any more prodding, you just send me a note on the blog! Hehe, I'm getting prepared - this is going to be fun. Hmmm... Vermont, you say? Not saying I couldn't be tempted. I registered for the Cascade Crest 100 in Washington, to be run this past August, but had to withdraw because the cost of the trip got prohibitive for me. I'd been thinking about trying to make that trip in '09 to make up for it. But, hmmm, Vermont. Ize je-ust needs me a good belt buckle, you know what I mean? Ok, Ok, all the DARING, and the chanTING, chanTING, and I'm taking you seriously. I've been trying to check out my production schedule for '09 and it looks like I have a pretty major opening to prepare for on July 22nd. That might make it pretty difficult for me to be out of town a few days on the that weekend before. It's one of those things that is tough for me to know so far in advance. Hmmm, no idea...Mike? I'll ask around on the List to see. From what I gather, it's a pretty popular race and it's part of the Grand Slam. Not sure how quickly it fills, but, the one thing I can guarantee...if you sign up now, you're in!! :) All kidding aside, I know what you're talking about. I have no idea what my calendar for 2009 will be and whether I'll have work conflicts...but I'll plan to not have them. Knowing this far in advance of the race I'll be sure to limit any distractions long beforehand.